Welcome to my fourth Goodreads Giveaway! Here is another chance to win a FREE AUTOGRAPHED paperback of TWO MURDERS REAPED, the story of the last 35 years of Cecylee’s life. Find out what Cecylee got up to after the death of her husband. Giveaway ends tomorrow, so head on over to Goodreads to sign up! And Good Luck! Giveaway ends March 02, 2012. 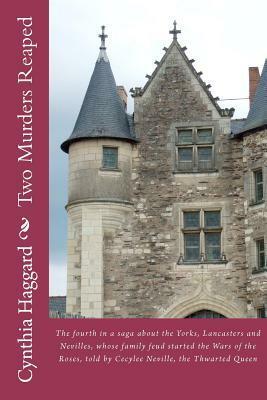 Congratulations Jessica on winning an autographed copy of TWO MURDERS REAPED. It will be winging its way to you Monday (when I have a chance to visit the Post Office). My guess is that it should arrive at the end of the week. For those of you who missed this giveaway, another one will start next week. Stay tuned!